I do love finding treasures in the trash. Two weeks ago on my way to work there it was. A giant framed art piece leaning against a trash can waiting for the truck to whisk it off to the landfill. If you know me at all, you know that I stopped and jammed it into the back seat of my car. I did not have an idea what I wanted to do with this piece. 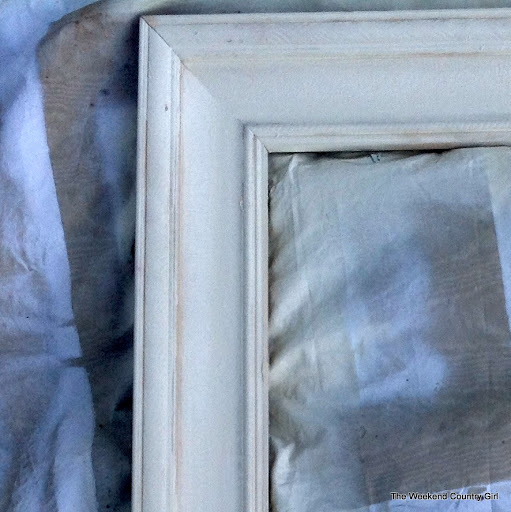 I already have a huge chalkboard and recently made a paint chip piece from another large framed print. I knew something would come to me if I would just be patient. While looking through Pinterest, ran across this artwork for sale. I loved it. Our master bedroom is a little lacking in artwork. Something like this piece would be amazing, but $515.00 plus shipping is way out of my comfort zone. I thought the idea of a monochromatic piece above our bed would be restful. I have been happily married to my best friend for over thirty years. 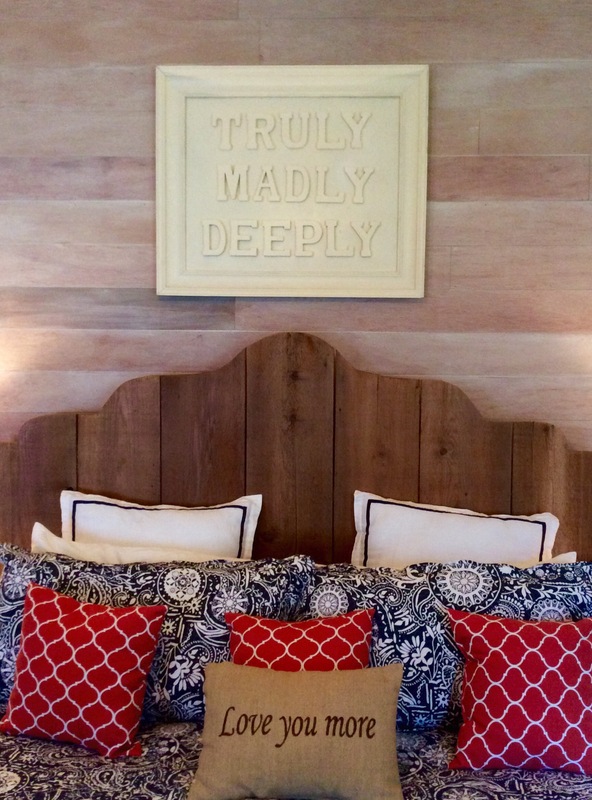 I think that the words from the Savage Garden song just fits in our room. I knew that I had found inspiration for the rescued art piece. The plan worked perfectly until I priced out the letters. 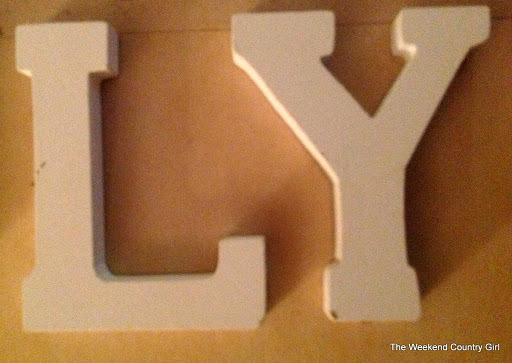 It cost $40.00 for the letters and spray paint- and that was with a coupon! 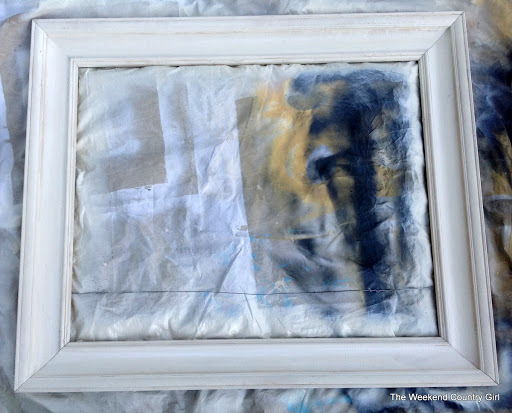 I was thrilled to find that the print in the frame was glued to hardboard and was stapled into place. I really thought this would go quickly until I discovered the frame was not painted, it was covered with a sort of wallpaper like stuff that had to come off. 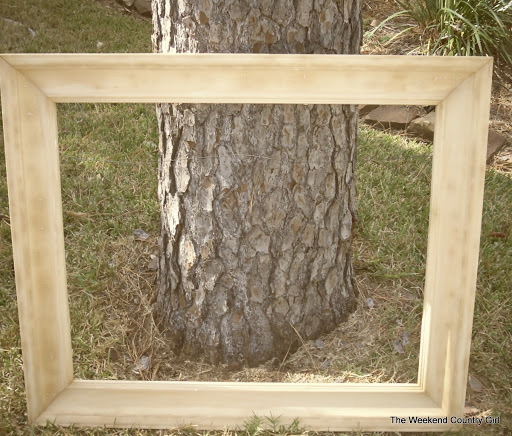 After I determined that the frame was solid wood and worth the effort, I peeled off the paper that came off easily then got busy with a wire brush on the parts that did not come off easily. Two hours later the frame was clean. As I got ready to put the letters down I recruited the math teacher that lives at my house to help. No way did I want to mess up a $40.00 project. I have whole pieces of furniture that didn’t cost that much! He mapped it out for me with a ruler. I carefully drew a pencil outline around each letter before I started gluing the letters down one by one with E6000 I already had on hand. After the glue down process, I applied weight to the whole thing in order to make sure they were stuck to the board completly. Next I had to fill in the holes in the bottom of some of the letters with painter’s putty. 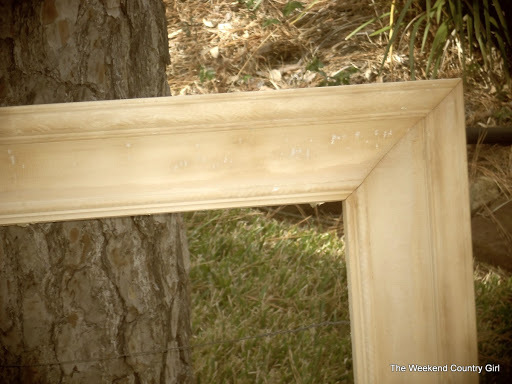 It had the nerve to turn coolish this week so I did not get the chance to spray paint the picture for a few days. It was torture to see it sitting there not painted, but I have been feeling a little under the weather so being in the unheated garage was out. Finally, Friday after work the stars and planets aligned. Low humidity, no wind and warm enough to paint. I chose Krylon Ivory in a satin finish. It looked pretty rough afte the first can of paint. Why oh why do I think I can get away without priming? Sooo after a trip to the store for spray primer and more paint…grrr. I ended up with this beauty.